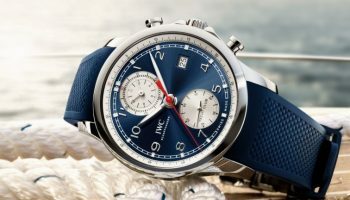 The largest wristwatch ever made by IWC is the Big Pilot’s Watch 52-calibre T.S.C. This pilot’s instrument was launched 75 years ago and now it has a successor with a 55-millimetre case diameter, the Big Pilot’s Heritage Watch 55. And the 55 mm tribute doesn’t come alone, it has brought a 48 mm version to the party. 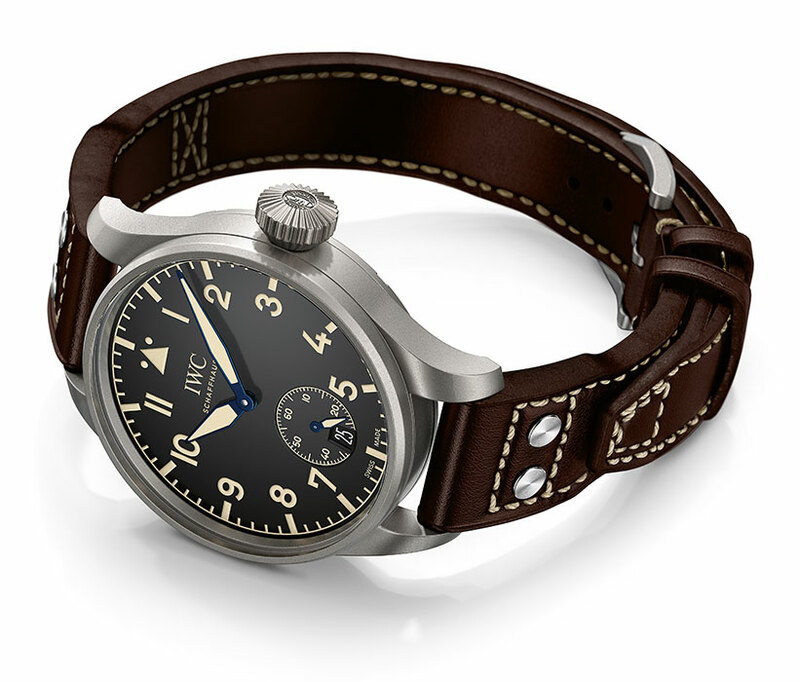 The story of the Big Pilot or rather the ‘biggest’ IWC pilot’s watch starts in 1940. The watch was supplied to the German Luftwaffe in 1940 in an edition of 1,000 examples. The ‘big device’ constructed according to the criteria for observer’s watches was outfitted with the pocket watch calibre 52 T.S.C. and it had a case diameter of 55 mm, a height of 16.5 mm and a weight of 183 grams. The extra-long wrist strap with double bow and clasp clip made it possible to wear the watch over a flying suit. 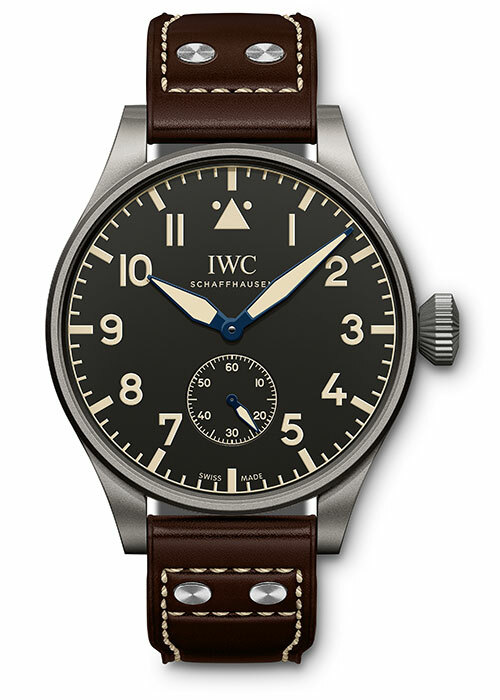 IWC produced 1,200 examples of their calibre 52 19”’ H 6 S.C. movement of which 1,000 examples were used for “Die grosse Fliegeruhr” or “Big Pilot’s Watch”. 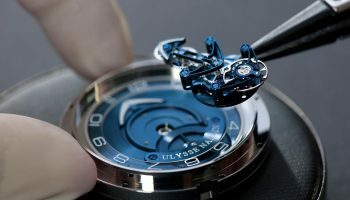 The movements were fitted with an indirect sweep centre mechanism with hacking feature thanks to which the balance is stopped while the crown is pulled out, thus allowing setting of the time to the split second. The large size of the crown allows winding and setting even when wearing gloves. 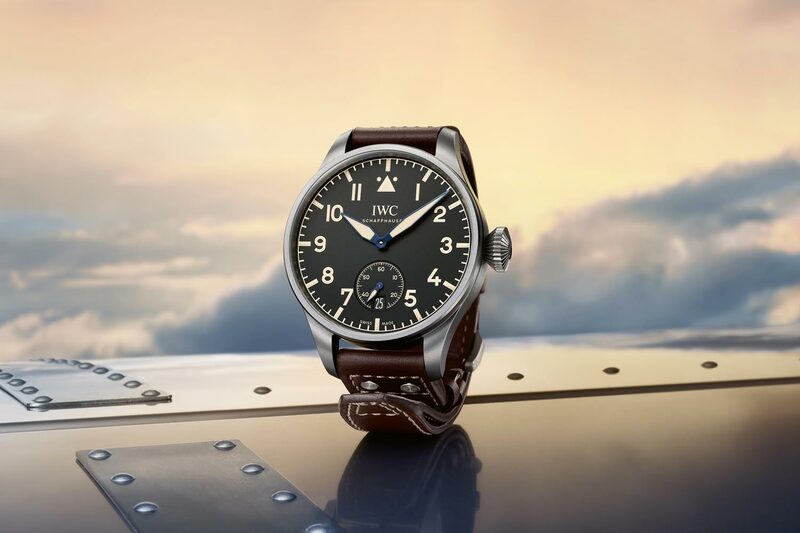 The new IWC Big Pilot’s Heritage Watch 55 (Ref. IW510401) is a direct descendent of the 1940’s colossus. It’s available in a limited edition of just 100 watches and it’s aimed primarily at collectors and lovers of authentic pilot’s watches. The biggest visible difference is that the Big Pilot’s Heritage Watch 55 – presented in lightweight sandblasted titanium case instead of steel – does not feature a central seconds hand like the Big Pilot’s Watch (52-calibre T.S.C. – Tirette Seconde Centrale), produced in accordance with military specifications. 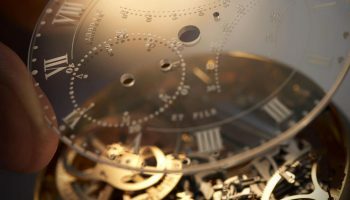 Back then, pulling out the crown stopped the balance, thus allowing pilots and navigators to synchronize their watches with down-to-the-second accuracy. 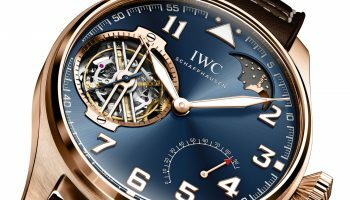 Today, the small seconds is found at “6 o’clock”, and the IWC hand-wound 98300 calibre can likewise be stopped by pulling out the crown. Like its big brother, the Big Pilot’s Heritage Watch 48 (Ref. IW510301) looks very much like the historic original, but makes a few more concessions to modern ideas of aesthetics and comfort. This model is limited to 1,000 pieces, and it’s is a practical alternative for everyday use thanks primarily to its light titanium, which reduces its weight to 120 grams. 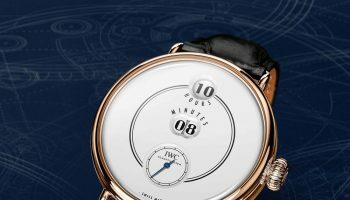 The IWC hand-wound 59215 calibre gives the owner the convenience of a 192-hour power reserve that guarantees accurate running for 8 days before it automatically stops. 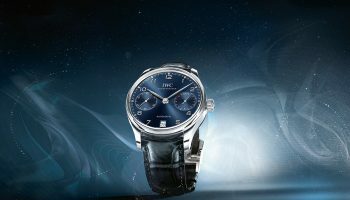 Just how much energy remains can be seen on the power reserve display visible through a small aperture covered by sapphire glass on the back of the watch. Despite the aperture, this Pilot’s Watch also has a soft-iron inner case that guides magnetic fields safely around the movement. 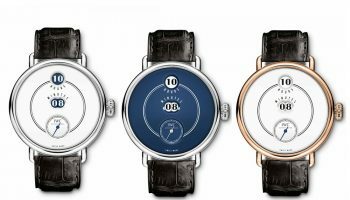 But it is not only the watches’ size so much as their unmistakable visual features that will make the hearts of watch connoisseurs race. 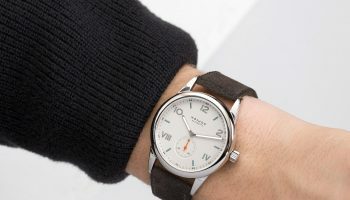 From the dial design and colour of the luminescent numerals to the shape of the propeller-like hands, cone-shaped crown and historic leather straps, it is as if the Heritage watches were taking us on a journey back in time to the pioneering days of aviation. Except that now we have state-of-the-art IWC watch technology.